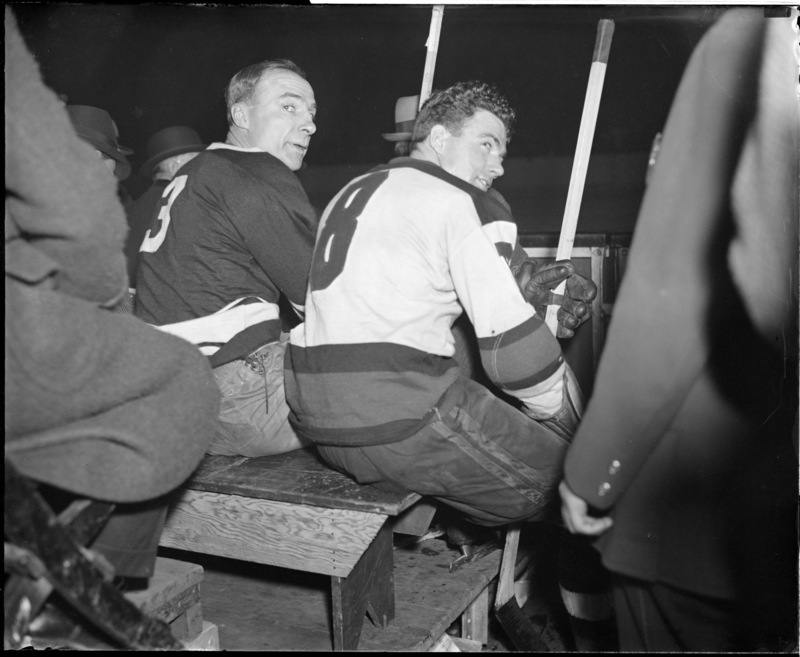 Hockey stars Lionel Conacher, left, and Roger Jenkins of the Bruins, on bench for being rough on the ice. Bruins, including Shields, no. 4, and Dit Clapper, head onto the ice at Boston Garden.